From popular singles bars to little hole-in-the-wall cafes, find out all types of venues where you can meet New York singles like yourself. Search our comprehensive guide to dating in New York. Give Dating in New York a Happy Ending! Formerly a massage parlor and now a chic club with two floors, Happy Ending pays homage to the lounge ideal of the days of Frank Sinatra. The red velvet booths offer the perfect amount of intimacy for anyone looking to hook up on the premises. Stop by Tuesday nights at 10 when the DJ's will spin a magical mix of electro, disco, new-wave, post-punk, and indie tunes. The Happy Ending Lounge has been raved about by such local, national, and international periodicals as the New York Times, Time Out New York, New York Post, Daily News, New York Magazine, Village Voice, The Economist, and the London Financial Times. Reservations can be made by calling 212-334-9676 or by booking your reservation online on the website. Have A Memorable And Romantic Date In New York! 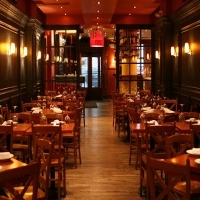 Here at Otto Enoteca Pizzeria located on Fifth Avenue in New York City, you will find its Italian style and first class cuisine. 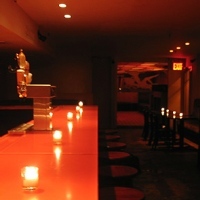 Renowned in the city for its excellent food and service, it is really a perfect location for dating in New York. The meals prepared are made from the freshest of ingredients and delicately prepared from among experienced chefs in the city. 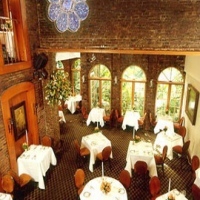 The restaurant with its reputation for excellence and quality service was featured in several magazines such as the New York Magazine, Vogue, New York Times, and the New York Observer. So come and make your dating experience something to remember. Speed Dating In New York! If you're looking for that special someone and don't know where to find him/her, then come to NY Minute Dating, where you can meet and acquaint yourself with people who are professionals, busy and single working men and women who want to find time for a relationship. So make yourself available and come to New York City's best speed dating and singles party. You will definitely find that special someone and get to enjoy what love is all about. So visit the website and register today. Romantic And Elegant Restaurant In New York! A Spanish style restaurant located at 171 Spring Street New York, Boqueria is a perfect place to bring that special someone and to enjoy a romantic dinner together. With its Spanish cuisines and beautiful ambiance you will surely enjoy the night together. Dating in New York has never been this exciting and memorable, so come and make your date a night to remember. For more information you can contact them at their telephone number 212-343-4255 or email them at soho@boquerianyc.com. If you're looking for a place perfect for dating that has the best hospitality and overall value, then look no more. Here at Hearth Restaurant they offer the best Italian cuisine prepared with the freshest of ingredients all well prepared by renowned chef Marco Canora. So make your date here in New York the best experience you ever had and come to Hearth, where they prepare only the best Italian cuisine that the city has to offer. Dating With a loved On Top! Prepare to be swept away by the excellent and delicious meals prepared by chef Colt Taylor, a highly experienced and seasoned executive chef of One If By Land Two If By Sea. 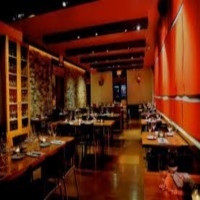 The establishment is one of New York City's romantic restaurants which offers mouthwatering and sensational food that you will definitely love to come back for more. Perfect for dating and for rekindling romance, the restaurant has a beautiful and classical ambiance which makes it romantic and comfortable. So come and make a reservation for two and enjoy a romantic dinner with your significant other. Greek Cuisine, Perfect For A First Date! 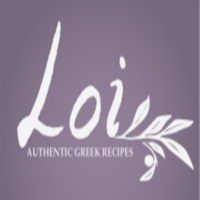 Come and indulge yourself with your partner at Loi, where you will absolutely enjoy Greek cooking and find yourself falling in love with the food. 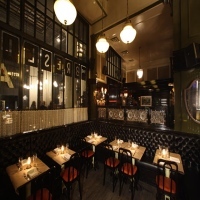 Located at 208 West 70th Street New York, it is a perfect place for dating and having quality time with your partner. So come have a romantic dinner for two at Loi, it is an ideal place for getting to know one another and to be intimate. Make that special day more memorable and worthwhile here at Loi. Green Romance At The Brooklyn Botanical Gardens! 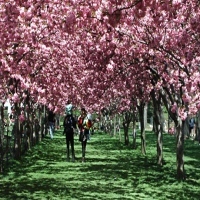 Located at 1000 Washington Ave, Brooklyn New York, Brooklyn Botanical Gardens offers its beauty and simplicity where visitors can enjoy the fresh air and do outdoor activities. A perfect location for dating and a simple yet romantic way of showing your love to your partner. Enjoy what nature has to offer to you. Enjoy strolling in the gardens and make your date something to be remembered and talked about. So come to Brooklyn Botanical Gardens and have an exciting date with your partner. Beautiful and Romantic Central Park! If you're planning a date with your partner, try something unique, inexpensive yet beautiful. 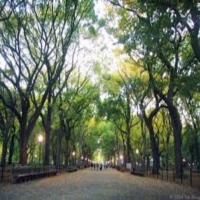 Try having a date in Central Park, an ideal location for picnics and for outdoor strolling. Dating at Central Park can be memorable, with its romantic ambiance and its vast area, you will definitely have a lot to do on your date. Central Park is one of New York's finest and most romantic locations, with its natural setting and beautiful views you will definitely love the park. So whenever you are in New York and you're planning for a date, you can always come to Central Park with your partner and enjoy the sceneries together. Greasiest yet delicious dinner for two! Located on 16 west 29th street, New York, the Breslin Bar & Dining Room offers delicious and mouthwatering greasy meals, that are so irresistible. A good and convenient place for dating where it is accessible for travel, shopping and other recreational activities. 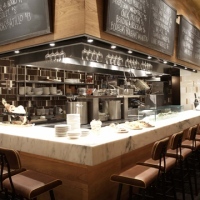 A project of chef April Bloomfield, the restaurant is renowned for its delicious and great food. The Breslin Bar & Dining Room offers the best and a must try food, such as the stuffed pigs legs, lamb burger, head cheese and the dried prime rib of beef. So come and make your date in New York a satisfying and enjoyable experience. Dating On Top Of The Empire State! A spectacular and an amazing place to see the beauty of New York's skyline, a place that can be an ideal for a simple date with your special someone. The observatory is open every day including the weekends and holidays. One of the city's historic landmarks and one of the mostly visited places in New York, The Empire State building reaches at about 1,250 feet above the city. Here you can experience stunning views of New York and beyond. So come and visit the Empire State Building and enjoy your date at the observatory, where you can have a great time admiring what New York can offer to you. For more details on buying tickets for the observatory, please visit the website or call 212-736-3100.